The Gliderol Panel-Glide is produced to the highest standards of quality built by the state of the art machinery using advanced technology and unique computer controlled equipment. 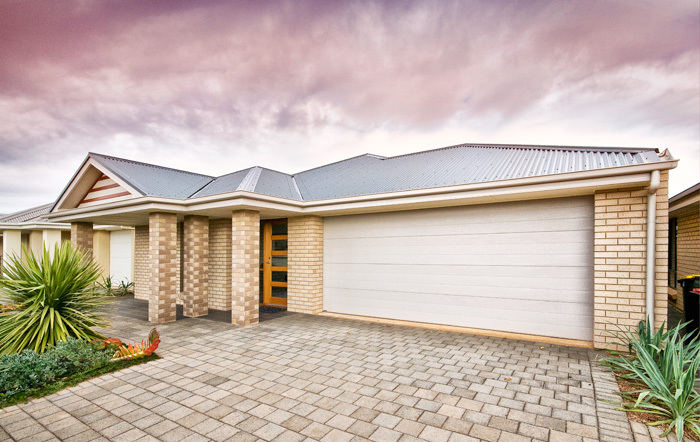 An Australian made product The Gliderol Panel-Glide has been specifically designed to meet Australia's harsh conditions it is inherently stronger than most other sectional doors due to the use of this latest technology. This results in a slimmer but stronger panel section presenting a more balanced appearance. With the Colourbond rough sawn woodgrain finish comes the strength and style to compliment any home with the variations of Panel-Glide designs available.